I have the pleasure of having been invited to be a featured reader at the upcoming fall Peninsula Literary event. I’ve been asked to read some of my poems from The Poetry Booth and to discuss the process. That should be a lot of fun. Come with your questions. 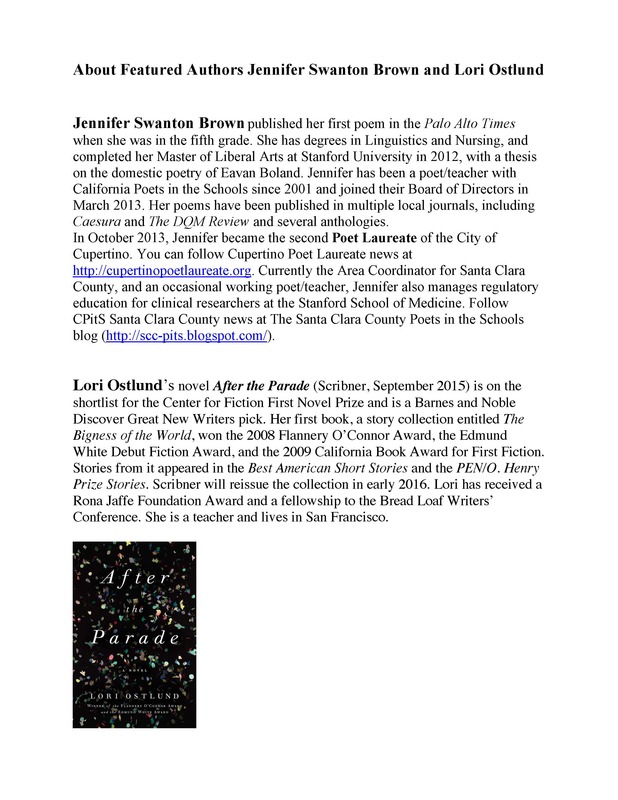 Here’s the back of the flyer, with some information about my co-featured reader, Lori Ostlund.